A lot can happen in 30 years, and we’re about to discover exactly that in the context of the Star Wars universe. Disney recently announced that they will soon be putting out Star Wars: Aftermath, the first in a planned trilogy of novels that will pick up in the wake of Return of the Jedi and begin carving a new path of official continuity that will lead into J.J. Abrams’ upcoming Star Wars: The Force Awakens. But what exactly can we expect this material to cover? Well, there are definitely some major issues that need to be addressed. 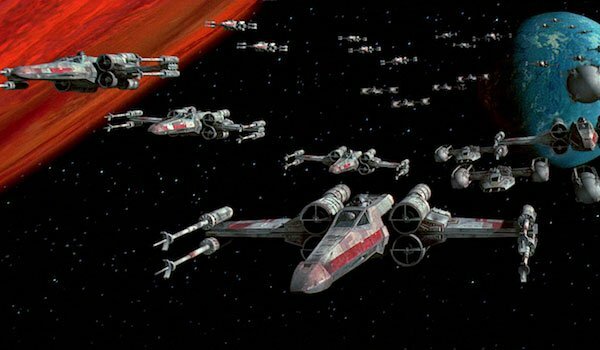 We’ve always had some lingering questions about what happened in the Star Wars universe following the destruction of the second Death Star, and while many of those questions were answered - or at least dealt with - in the sprawling expanded universe, all of that was vaporized when Disney scrapped the entire EU last year. So now we’re starting from scratch again, and here are the biggest questions Aftermath needs to answer when it hits bookshelves on September 4th. What’s the Rebel Alliance’s Next Move? Blowing up the new Death Star was surely huge for the Rebel Alliance, as were the deaths of both the Emperor and Darth Vader. The villains lost their greatest weapon and their key leaders… but while they’re reeling to be sure, they couldn’t have been totally down for the count. After all, this far, far away galaxy is a big place with many different worlds and star systems, and though sectors certainly some side with the insurgents, there are also surely still members of the Empire and Imperial loyalists lurking everywhere. The point is, the Rebels need to put together a plan to move forward after this big win on Endor. Celebrating with the Ewoks is all well and good, but there is definite business to attend to in the very near future. If they have any hope of actually defeating their enemies once and for all, they have to keep the pressure on. The celebration is certainly well deserved, but while watching the final scene in Return Jedi, you can’t shake the feeling that this reprieve is temporary and that tomorrow, when everyone wakes up hungover from Ewok moonshine, they’re heading out into more dangerous adventures, and starting down the long, arduous path of trying to establish a new Republic. What Becomes Of The Empire, And Who Fills The Leadership Vacuum? Again, at the end of Jedi, the Empire has been wounded, perhaps irreparably. Its leaders are gone, its biggest weapon is a shower of flaming wreckage, and the Rebels have all the momentum. Aftermath’s synopsis asks the question of "What rushes in to fill the vacuum the Empire has left?" and the answer to that is going to have huge implications moving into The Force Awakens. Does another powerful leader emerge and keep the Empire together? Will we see the rise of a powerful new villain? Do the remnants of the Empire splinter into smaller warring factions, each struggling against one another, as well as the Rebels, to claim and hold their own seat of power? Though we don’t know much about the upcoming new movie, we’ve heard that there are still fragments of the Empire out there, waiting on the periphery, plotting in secret, and part of the job of these new novels is going to be show us how they go from monolithic power to what sounds very much like a fringe, outlier group fighting just to survive and rise once again. This could very well mean the end of open warfare, and the start of more low-key, guerilla-based conflict. Does Luke Reestablish The Jedi Order? Over the course of the prequels, we watched the fall of the Jedi Order. By the time the original trilogy goes down, the paramilitary protectors of the Galactic Republic are almost nonexistent, having been hunted to near extinction after Order 66. 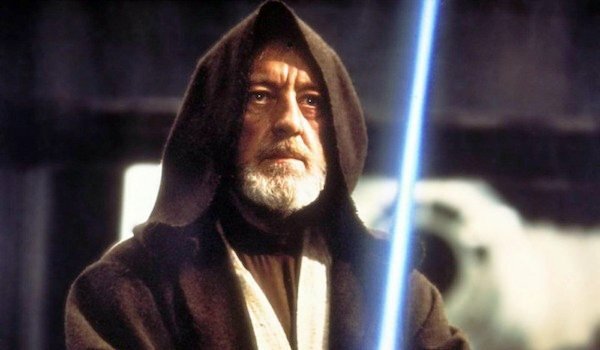 By the end of Return of Jedi, now that Obi-Wan, Yoda, and Vader are all dead, Luke is really the only one left. It’s entirely possible there are more out there, still hiding - like Kanan in Star Wars Rebels, or those who, like Luke, show a natural aptitude with the Force. As we move into the era of Aftermath, the question presents itself, what, if anything, does Luke do about this? The Jedi schools and training facilities are mere relics and ruins by this point in the timeline, their ways have been largely lost, and most people view the Jedi as an ancient, outdated religion with little real world applicability. Does Luke have the responsibility take steps to reestablish the Jedi? Or, afraid of the lure of the Dark Side and the potential damage it can do, does he shun that path? How Weird Is Luke And Leia’s Relationship Now? The big picture isn’t all that’s different by the end of Return of the Jedi, but a lot of things on a personal, character level will never be the same after the Death Star goes boom. One of the most substantial shifts is sure to be in the dynamic between Luke Skywalker and Princess Leia. Early on, a good portion of the original trilogy involves the three-way romantic tension between these two and Han Solo. 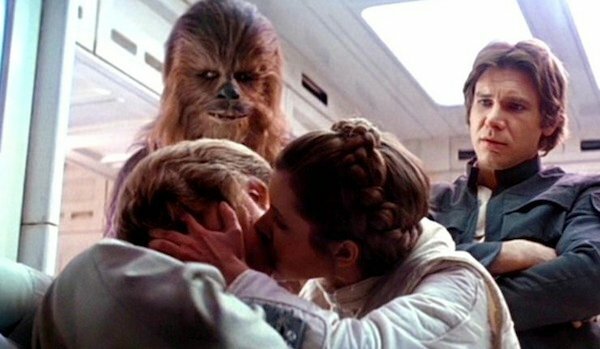 Leia even memorably kisses Luke in the first act of The Empire Strikes Back. Now that their sibling status is out in the open for all to see, things are going to get weird, and not even necessarily talking about the romantic side. It’s going to be interesting to see what direction their relationship takes. Leia is a badass, but she’s a politician, a leader, and we expect her to play an important role in establishing whatever form of government the Rebel Alliance sets up. For his part, Luke is a warrior, a spiritual one to be sure, and we need to see how their relationship changes, especially now that the truth about their shared blood is known, and that there is no longer this single goal driving them. Where Does Han Go From Here? Maybe more than any of the big three, Han has the most pronounced transformation over the original trilogy. 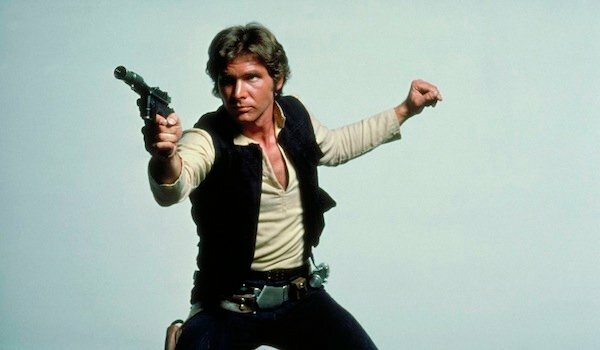 From swaggering smuggler to heroic general in three movies isn’t bad. In the expanded universe, he and Leia get married, have kids, and both play significant roles in establishing the new Galactic Republic. With the all clear, now that he knows his chief romantic rival is his paramour’s brother, we expect much of this trajectory to remain the same: lover, father, leader. 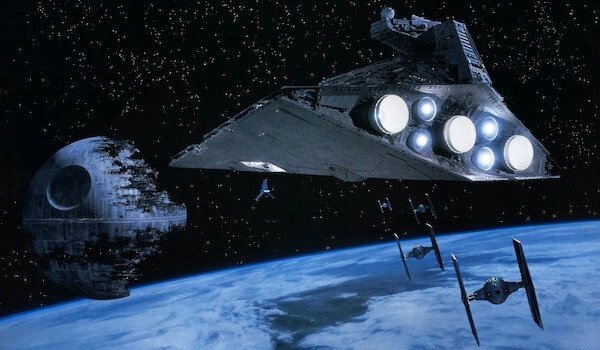 But with all of the Extended Universe material thrown in the wood chipper, how future will actually unfold is completely up in the air – especially in the wake of the Battle of Endor. And it doesn’t look like things play out totally drama free. Rumors have suggested that key characters on both sides of the force in Star Wars: The Force Awakens may be the offspring of the vest-wearing rogue, and if that’s the case, fatherhood may be a bumpy ride. But at least Han has Chewbacca to nanny.